Immune System: Human macrophage ingesting pseudomonas. 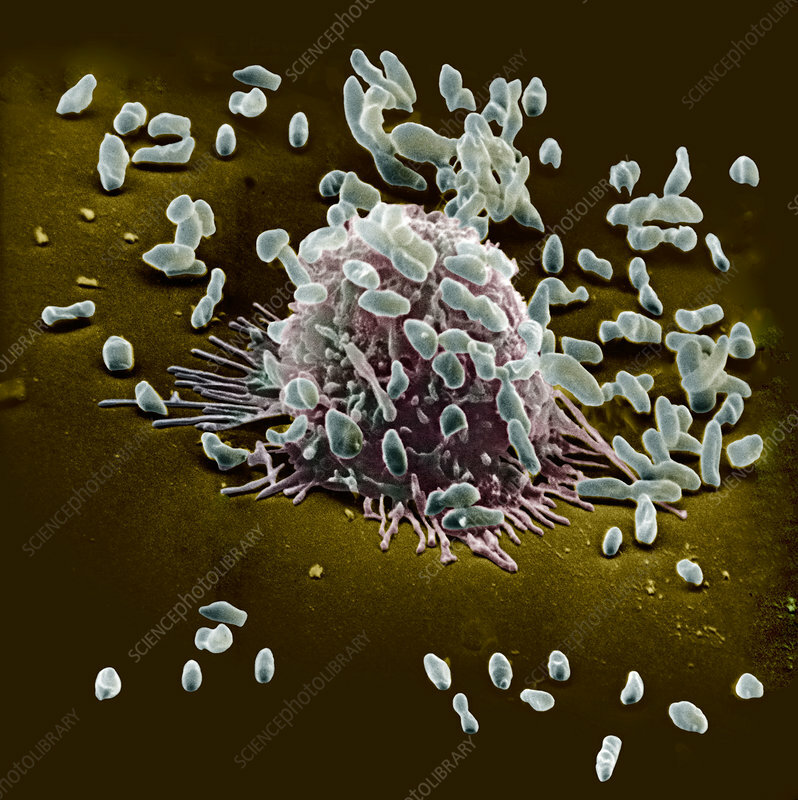 Macrophages are white blood cells (leukocytes) or mononuclear phagocytes that ingest bacteria as part of the immune response to infection. Pseudomonas is a widespread soil bacterium which acts as an opportunic pathogen. This bacteria is pathogenic in humans, but mainly restricted to opportunistic infections in compromised hospital patients.